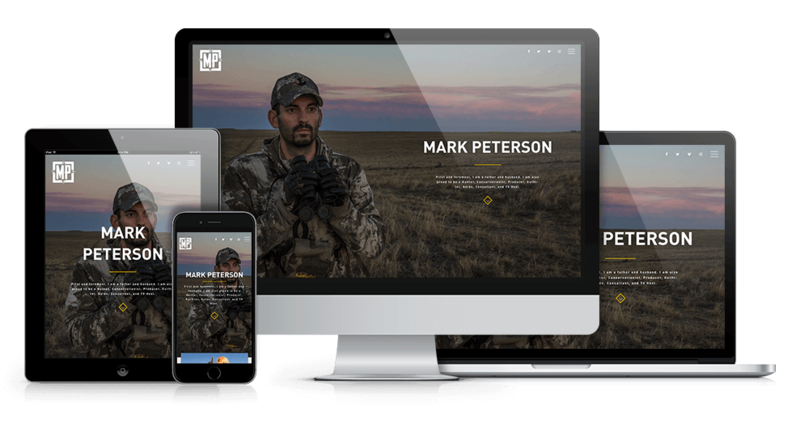 Mark Peterson | Kmotion Design Inc.
Mark Peterson is a Big Game Hunter, Conservationist, Producer, Outfitter, Guide, Consultant, and TV Host. He is the Host of Cabela’s show Instinct: Expedition Series on The Sportsman Channel. In addition, he is currently working on completing the Super Slam of North American Big Game®. It is Marks goal to complete the Super Slam times 3, with a Bow, Muzzleloader and Rifle. This feat has never before been accomplished! 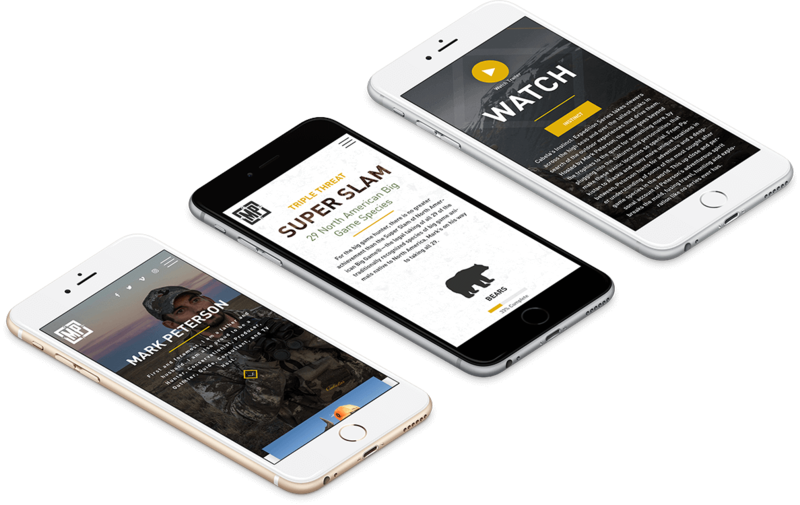 We designed and built this site around Marks Super Slam goals, tell his story, as well as highlight all of his other ventures and sponsored gear. ""I have complete confidence in Kmotion for all of my web development needs. I have been impressed with how well they infused my business’ brand into their design with the most cutting-edge relevance."